My usual team is Colin/fenrir and either iron hamel or Nyz since I'm lacking Merlin. I feel like having something like Arthur where all runes have X % of light would bring him on the level of atlantis/maya. (03-09-2018, 10:22 AM)draconian Wrote: I feel like having something like Arthur where all runes have X % of light would bring him on the level of atlantis/maya. That is his active skill, which has a very low cooldown already. Somehow is the same case of Aether. No tier list changes for this week. Added information for Smilodon and Ubume. (03-14-2018, 11:26 PM)Oriceles Wrote: No tier list changes for this week. Added information for Smilodon and Ubume. Why recommend Ubume for Aether though? Is 30% reduce and 2.2x for one member worth it to lose an attack? Unpopular opinion: Phanes and Gaia's rune auto conversion is too random to be reliable. I have lots of leaders and I must say that these two are overhyped, I despise how common it is for you to not be able to heal since your heart runes got converted away. Also their damage is more unstable than VR Greeks. Honestly for me they ended up being disappointing in actual use. I feel similar about Zhurong, but on a lesser amount since it only goes for attributive runes. Hopefully the "smart" auto convert of Lie Tieguai doesn't feel the same way, since it is like an evolution of Zhurong. OK I've been able to test Lie Tieguai a couple of times, the real issue is the buff real estate on the left side. I'm not a fan of Circe if I can avoid her due to her turning off damage reduction but the only other on portrait buff like her for earth is Athena on her Pr or Ovr forms. My mind is telling me to go something like Earth Lionel, Shyplant(just for the dual effect buff), Athena/Circe, Duncan. I know that Athena is too small a buff most of the time but I'll give it a couple tries tomorrow, if it doesn't work then it doesn't work. Another situational option is Mark II. (03-16-2018, 08:49 PM)Revdarian Wrote: Unpopular opinion: Phanes and Gaia's rune auto conversion is too random to be reliable. 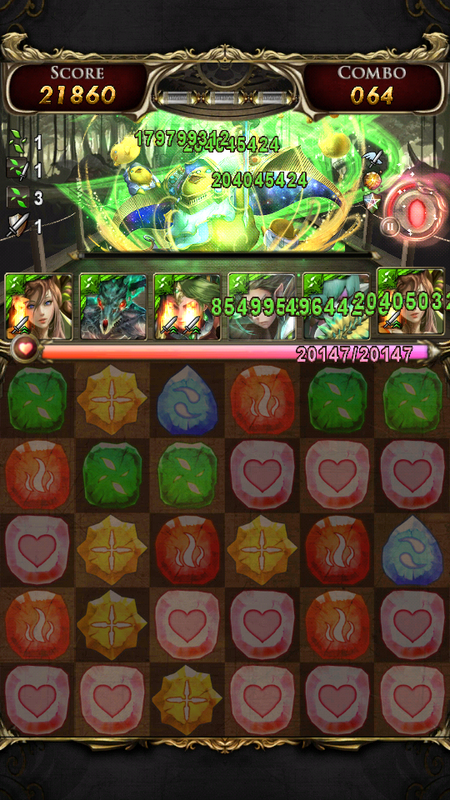 I forgot to come back here and give some info about LTG, he is actually pretty sweet but he has a couple of bugs, earth Lionel's active blocks your healing when you do 6+ combos is one, the other a that I've found that if you use LTG active on a boss with the time extension (3+ machinas), and you use a pr protagonist, the game hangs forcing you to log out and back in, which makes you lose your turn. The smart convert is really good, and usually it takes 4-5 turns to get to max fuel, usually just in time for your perma boost of choice (Circe or Shyplant). The massive stats of fully fuelled LTG +Earth Lionel makes the team work. I’m Ace and I was planning to build a strong team.However I do not have the knowledge and the skill to do that as I play this game not too Long ago,therefore asking you guys to help me.What I want for my team is a team with a strong Attack and a decent health.Other teams are welcome too! Pr yog will complete a phanes team because it generates all runes for shields. Also yog has high attk which can be column 2.5x for passive boost. Throw in shakuro and kyo for kicks and what not. Dont know what to think about gaia. Doesnt have those cards so mh needs to fix that. Prob wont fix so doesnt compete with LTG. I totally regret pr gaia imo. Shes not ready but phanes is great.